In this Sagely Naturals Review, we compare this American company, based in California, with the best CBD retailers in the world. Read on if you want to know what rating we gave them. With two product lines based on skin care and topical application, they are a fresh breeze in the CBD retail business. The only oral products they offer are two different types of soft gel capsules. With their high-quality products and specific product line, they are like a fancy online CBD boutique. We do reviews because many of our readers ask us what CBD product to buy. And indeed only smart people base their cannabidiol purchases on authoritative CBD reviews. 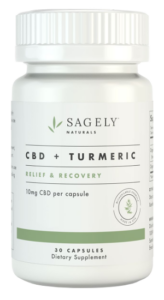 These Sagely Naturals R&R capsules are made of pure isolated CBD extract. If there is no THC in the oil, you definitely cannot get high from it. Sagely Naturals CBD capsules do have a full range of healthy terpenes and other natural minerals. Organically grown outdoors using cutting edge technology. 30-Day money-back full refund guarantee. 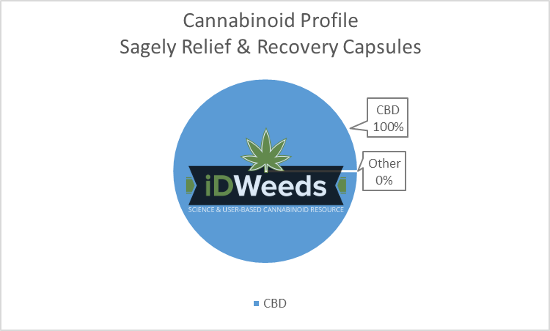 iDWeeds does NOT sell CBD products. We compare products from trusted brands to present you results based on strength, price/value and user satisfaction. 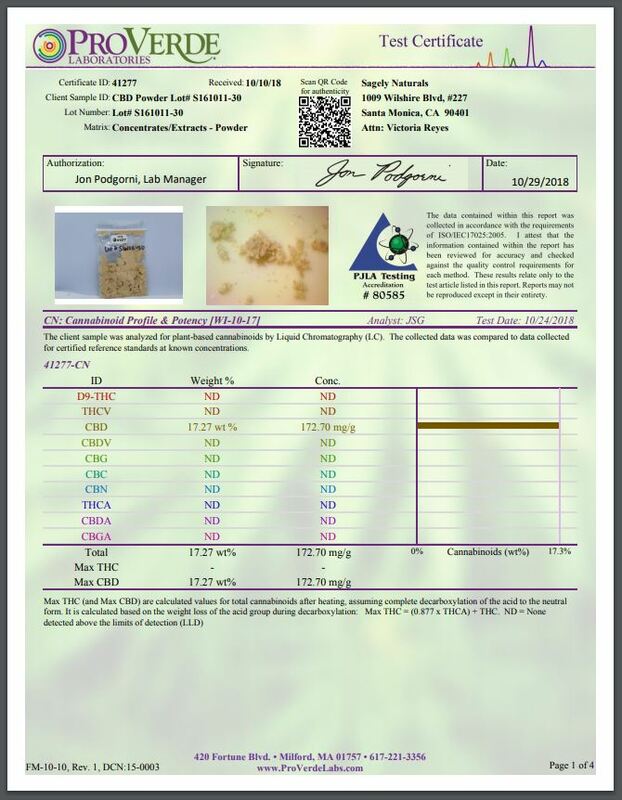 As the CBD market is flooded with shady scam sites, avoid disappointment and the risk of a contaminated product. Since all Sagely Naturals products are quality tested by an independent third party lab they ensure you get the best product possible. Hence a Certificate of Analysis is available on their homepage. 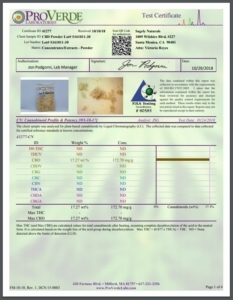 The cannabinoid profile of Sagely shows that the R & R gelcaps contain pure CBD and not full-spectrum cannabinoids as advertised. Nevertheless, with 10mg per capsule, it is a perfect product to maintain your mental and physical homeostasis. With 30 softgel capsules per container, the total CBD amount per container is 300 mg CBD. In addition to pure CBD, these softgels also contain a number of other healthy compounds like turmeric, black pepper, potassium bicarbonate, vitamin E, gum acacia and more. Topical application of CBD is one of the lesser known application methods. But, for certain purposes, it is not less effective. For example, localized pain in joints, headaches, etc. can be treated very effectively with CBD topicals. Massage CBD cream into the skin of your cheeks, forehead and neck to inspire feelings of tranquility and relaxation and it should even be able to relieve mild stress and anxiety. CBD is nutrient rich and is able to feed your skin and restore its homeostasis. How to Use CBD Skin Care? Clean your skin. Liberally apply the hemp cream to your skin. Soak a towel in hand-warm water and lay it on your skin for about a minute. After that wipe off the cream with a second towel or washcloth. Moisturize your skin. Wash your face with warm water. Liberally apply the hemp cream to your skin and gently massage it in for at least one minute. Acne treatment. The best way to use CBD cream for acne is to combine the above-mentioned methods. First moisturize your facial skin, gently massaging in the CBD cream and then steam and clean your face with a hot towel as described above. Depending on the severity of the acne repeat this procedure one or two times a day.